If you are hoping to diversify your company then it may require you to interact with different cultures and languages. Therefore, it is a major advantage to know another language so as to make communication easier. Depending on your level of knowledge on the language such as French for business you will need to enrol yourself for a course if you are a beginner, or search for other ways in which you can learn. If you are a beginner, and have no previous experience of the language, then you would have to find an institute/school that specialises in teaching languages. Most institutes give you the choice to enrol for one session and then make the final decision of continuing with it. 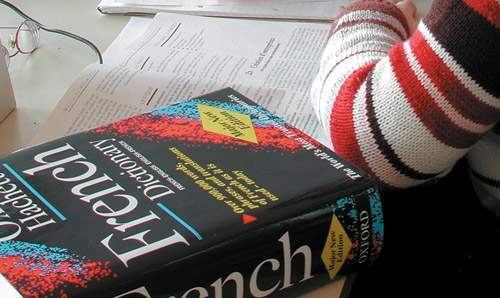 You would not need to have any previous knowledge of Business French to enrol. However in order to achieve the level of knowledge you want, you would have to invest your time in activities set aside for you outside of class. Following a course as such will support you in the gradual development of your language skills, and eventually make it possible for you to enter into their culture. Once you have completed the first few session set aside by the course, most institutes will guarantee that you will show skill in a variety of professional tasks required to be an efficient businessman, such as organizing travel, and interaction with native speakers of the language with ease in social events. Upon completing the final sessions designed for you, you will definitely be skilled at letter writing, oral presentations and much more complex tasks. Once you have successfully completed the whole course with dedication you will be able to confidently widen your business with confidence. If you are an intermediate learner, then it would be advisable for you to have completed a Business French course, however it would not be considered essential. Even courses set for people with prior knowledge on the language require them to invest in extra activities to reach the goal. The objective of enrolling in a course to learn a language at this level would be to develop negotiation, presentation, reading and writing skills in a professional nature. As you are an intermediate with previous experience and knowledge on the language, the course would be designed to be more complex. However, the goal of any course would be to build your confidence in the language to make professional interaction easier. If you are an advanced learner then there are courses designed specifically to grow your skills in a professional work environment. Upon completion of any course, most institutes set out to ensure your ability to interact with native speakers or otherwise are effective, and would eventually aid you in widening your business.